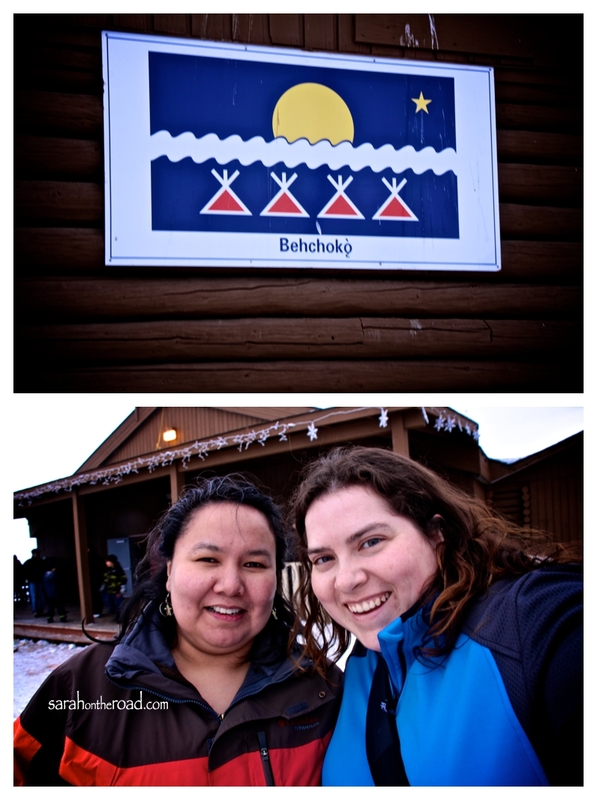 Today Daisy and I drove to Behchoko to see the finals of the Dene Hand Games. I wasn’t really sure what I was going to experience…I really wished this morning I had done some googling to find out more about rules to the games. But Daisy was able to tell me the basic rules…and then by watching I was able to learn a bit more. 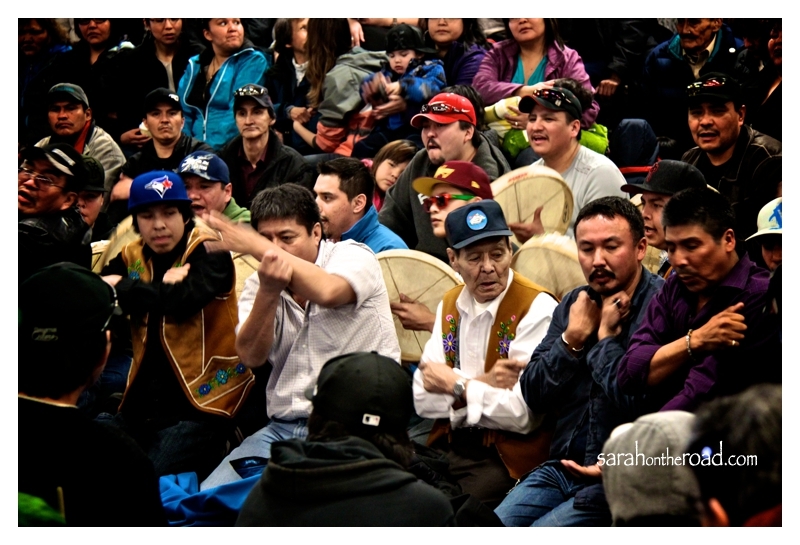 Then when I got back to Yellowknife, I found this awesome video from Alex and Luke on their visit to the Hand Games last year! 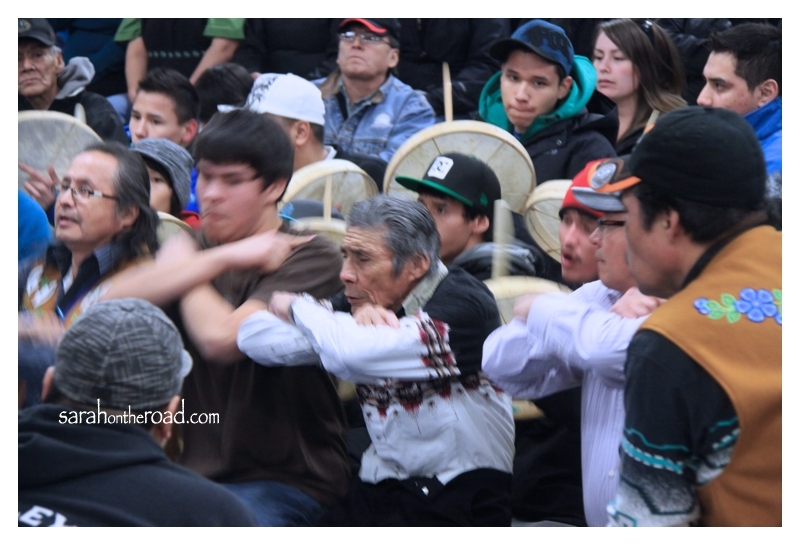 Take some time to watch it… because it really captures the games with the amazing drumming the way photos just can’t! Alex and Luke also explain the basic rules to the games in their video. 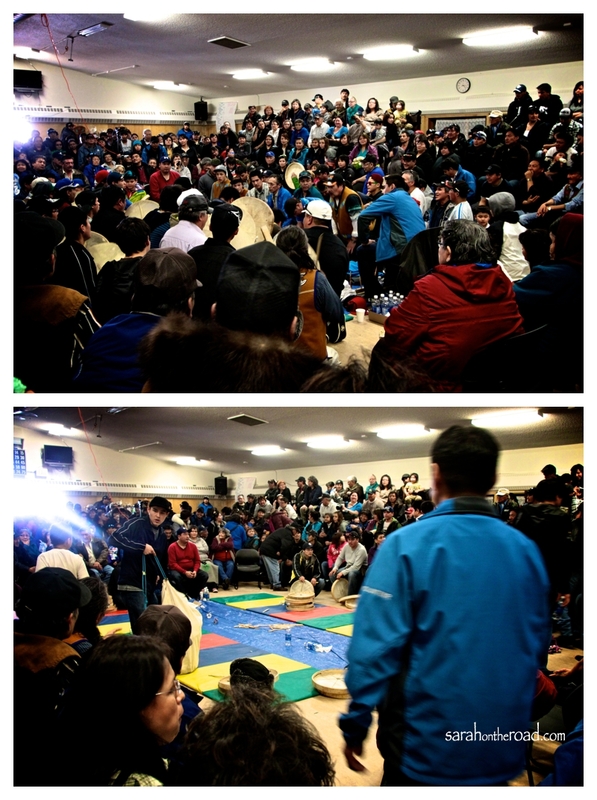 So here are some of my photos from the day… it was PACKED! Daisy and I stood for almost 3 hours before we got places to sit… it was such an awesome experience, I feel so honoured to be able to have had this experience. 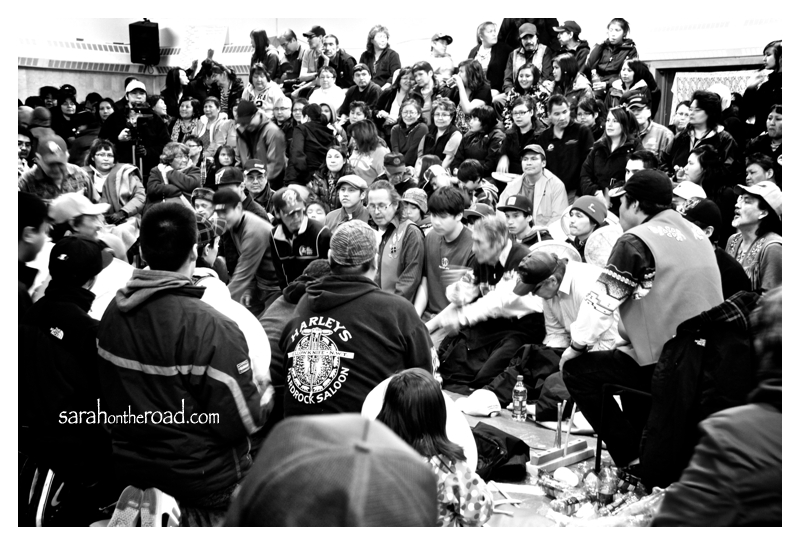 In the top photo you can see a game taking place… and the bottom one–setting up for the next match, the mats where players and drummers kneel! Here are some shots of the players hiding their tokens! 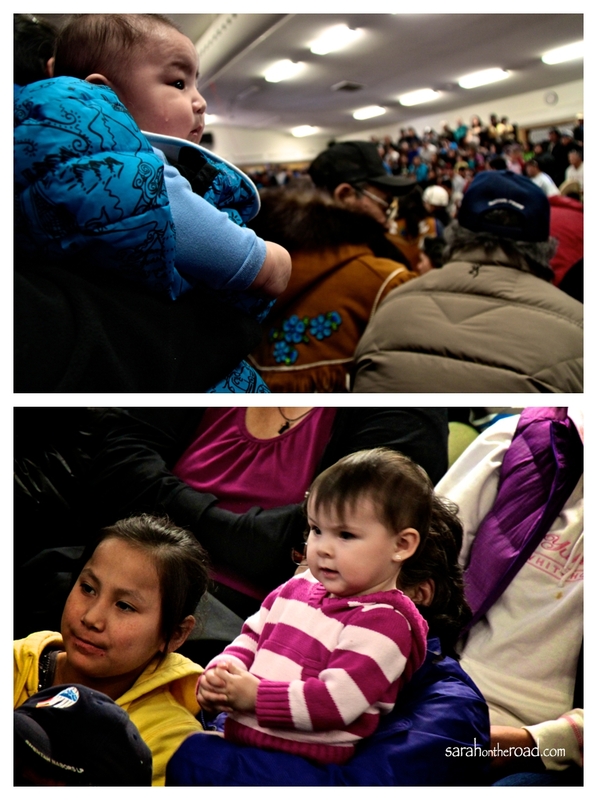 There are tons of spectators… from the young to the old! Everyone was keen to see which teams would advance to the finals! 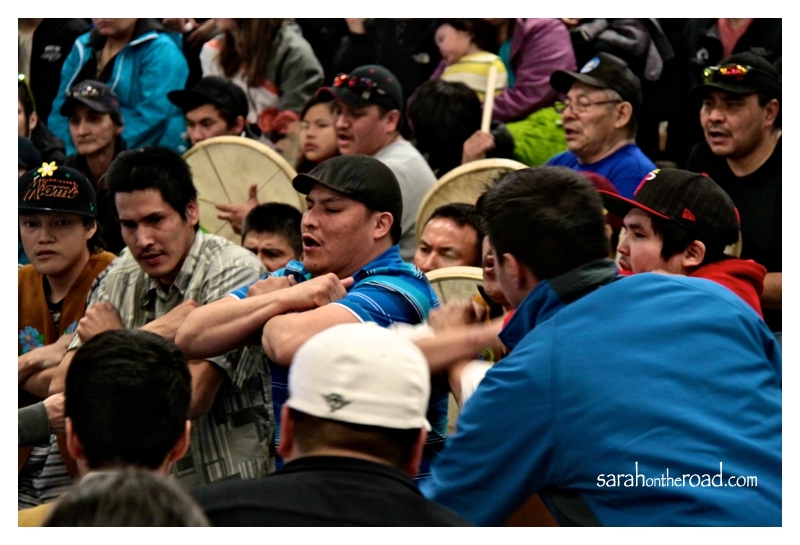 The drumming was amazing…it was hard to stand still…makes your body want to move! 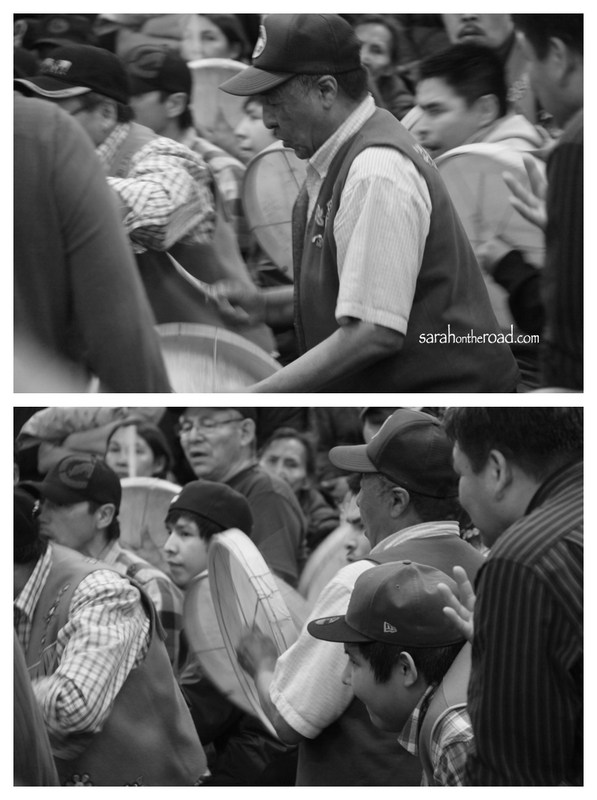 The little drummer in the photos…kept going up and getting a spare drum to play on, sometimes having it taken from him. Usually this was when a player that had their token guessed wanted to drum to encourage the remaining players! 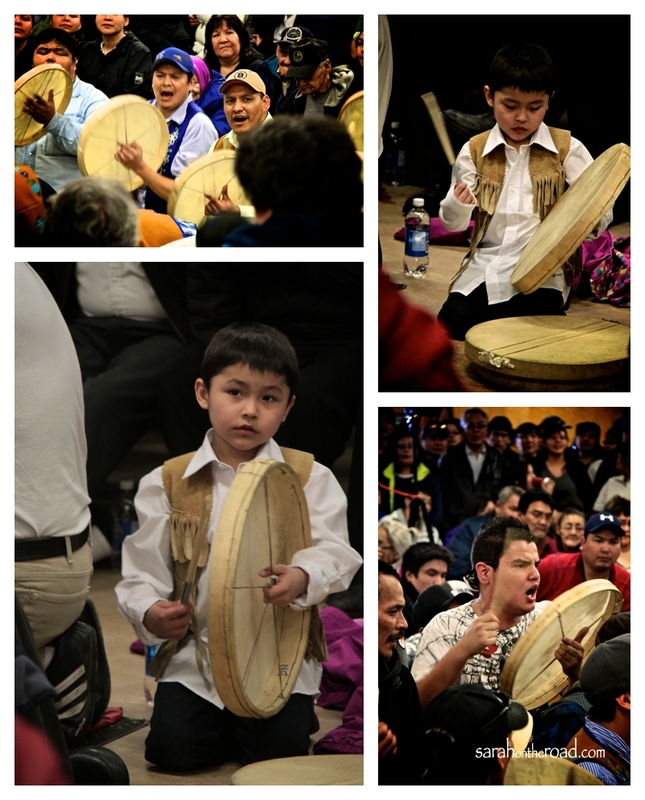 But the little drummer would wait until he could get his hands on another drum! It was so amazing to see different generations playing this game…how the teams were mixed, and the passion and excitement was so powerful! 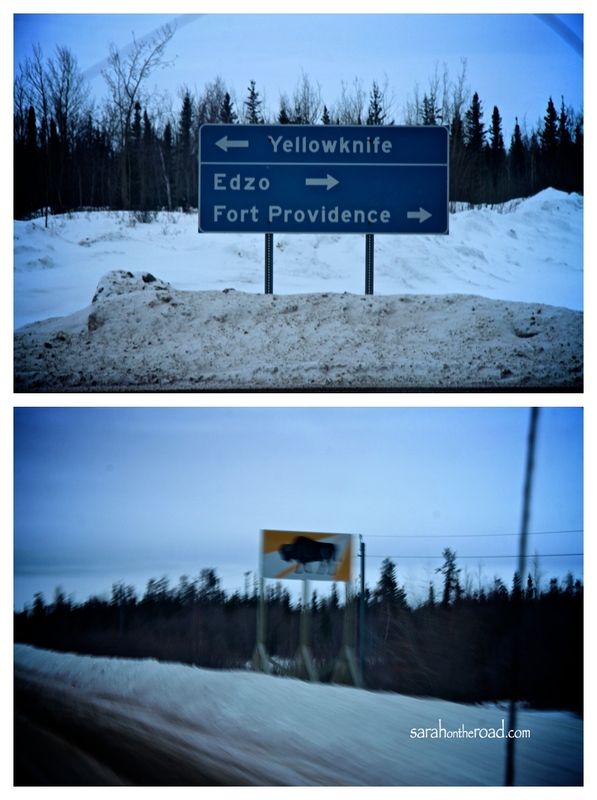 Here are a few road signs from our trip back to Yellowknife… it was about an hour’s drive. 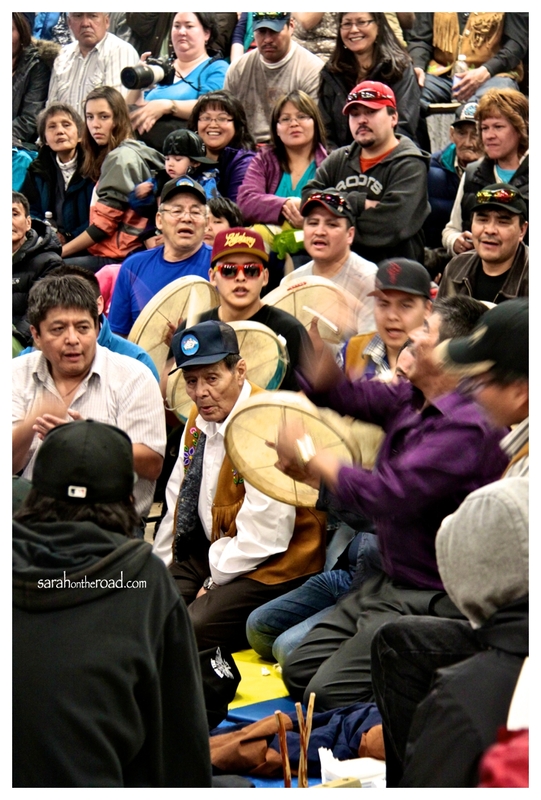 This entry was posted in Travel in Canada and tagged Northwest Territories, Travel on March 18, 2012 by Sarah on the Road.